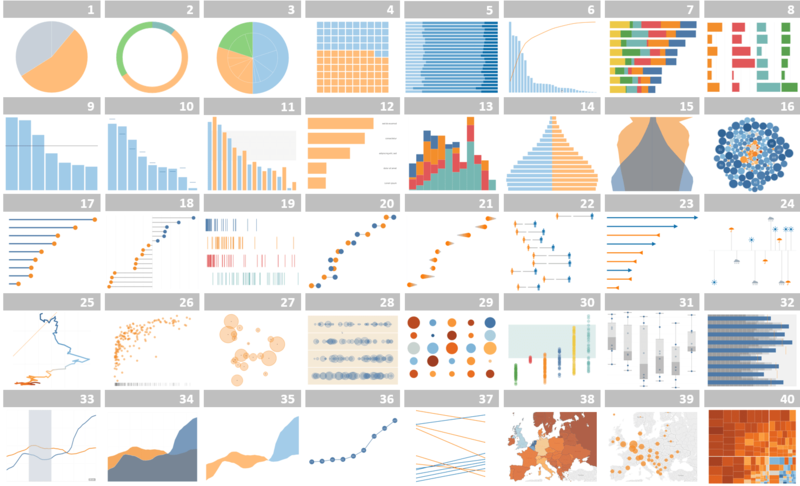 It’s the first Best of the Tableau Web for 2019! We’ve got a double bill for you this month because we skipped a month. That just means you’ll need two cups of tea to drink while going through all this great content. Is your blog on my list? As we kick off Best of the Tableau Web for 2019, I wanted to be sure I’m following all the Tableau blogs. I keep track of things on Twitter and LinkedIn, but I also use Feedly as a feed reader. Is *your* blog in my list? Check out the list of feeds here. If you don’t see your blog, tell me about it here. One more notice. Starting next month, I will be splitting the “Tips and Tricks” section up. I’m going to create a section for “Design and Formatting” and a separate section for “Calculations.” That should prevent any section from becoming too large. Are there any other changes you’d like to see? We want to hear from you! Please submit feedback about what you’d like to see in Best of the Tableau Web for our 7th year (wow!) and I’ll share the results in the next month’s post. Manuela Marolla LODs vs Table Calcs: How to compare the profits of all the Sub-categories to that of the selected one?